Airmen and soldiers from the Arizona National Guard attended the My Air Guard Incentive Career, or MAGIC event at Pima Community College West Campus Feb. 10. Presenters discussed education benefits, career advancement opportunities and as in past years, the goal of the event is to provide the tools needed to make informed career, personal and family readiness decisions. 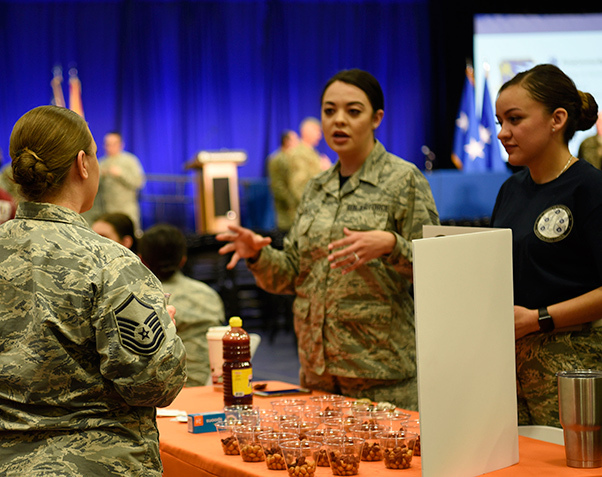 TUCSON, Ariz.–Airmen and soldiers from the Arizona National Guard attended the My Air Guard Incentive Career, or MAGIC event at Pima Community College West Campus Feb. 10. 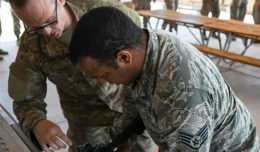 The event originated in the maintenance group in 2010 when a group of Unit Career Advisors recognized the need to educated airmen on the numerous benefits available to Guardsmen. 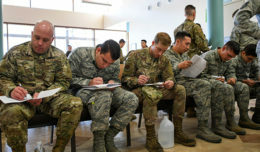 The event has since expanded to more than 200 soldiers and airmen interested in learning about how they can achieve their goals and take advantage of opportunities available to them. 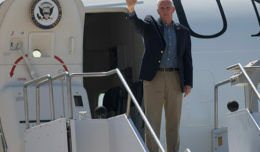 Presenters discussed education benefits, career advancement opportunities and as in past years, the goal of the event is to provide the tools needed to make informed career, personal and family readiness decisions. New this year, Airmen from different career fields, backgrounds and ranks conducted an in depth panel discussion to illustrate what life is like in the Guard. One panelist, Capt. Erika Jaramillo the Security Forces Commander, offered a piece of advice to those looking to progress in their careers from enlisted to officer as she did.